Our Huckleberry Candy Bars are filled with delicious Wild Huckleberry fondant with a flavor burst as sensational as anything you've ever had. We use only the finest chocolate making our candy bar even more unforgetable. Cherry lovers rejoice. We have made your dream come true with this great tasting rich milk chocolate cherry candy bar. Gourmet Milk Chocolate mixed with Graham Crackers and Marshmallow. There is no better treat for the whole family. Our huckleberry, huckleberry razzle, cherry and blueberry candy bars are so succesful that we have added orange,keylime,prickly pear, and jalapeno flavors. Solid dark chocolate flavored with your favorite wines such as Merlot, Chardonnay and Cabernet. Rum, Bourbon, and Margarita flavored candy bars are also available. How do we make our Dark Chocolate Espresso Candy Bar? We crush robust Espresso Beans already covered in dark chocolate and mix into the candy bar. The result: an amazing candy bar! The Huckleberry People offers gourmet milk and dark chocolate candy bars. 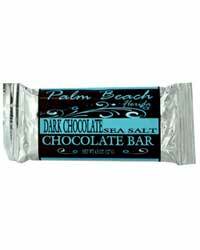 The candy bars can be fully customized to fit your store,resort and tourists needs.